Today our Humanities Department participated in Tom Wujec’s “Marshmallow Challenge.” With 20 pieces of spaghetti, one yard of string, one yard of tape, and a single marshmallow, we attempted to see who could build the tallest freestanding tower. 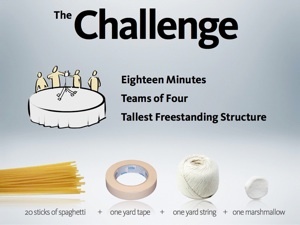 Taking only 18 minutes, the Marshmallow Challenge is a great way to bring people together with a shared task. Use the string, tape, and spaghetti to build a structure strong enough to hold a single marshmallow on top. The tallest freestanding tower holding a marshmallow wins. As Tom Wujec writes on his blog, “The Marshmallow Challenge is a remarkably fun and instructive design exercise that encourages teams to experience simple but profound lessons in collaboration, innovation and creativity.” We broke up into seven groups and got to work after a very brief introduction. 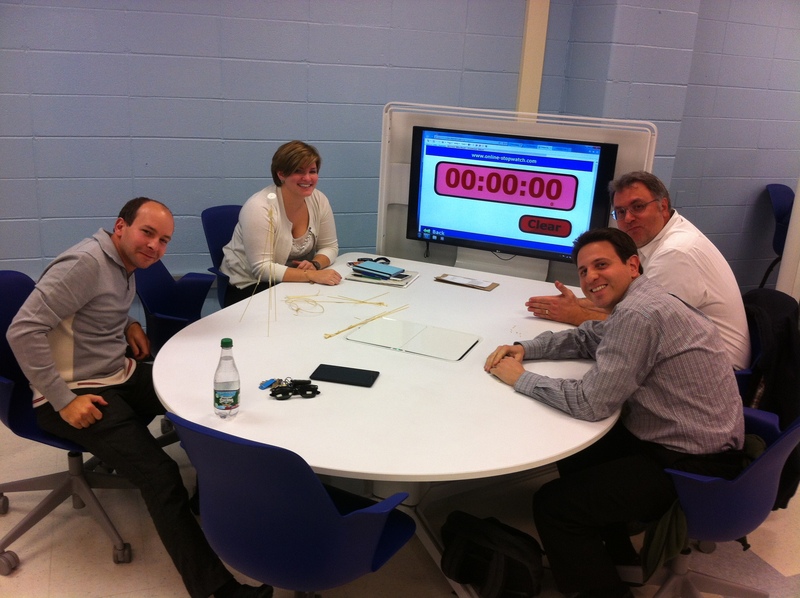 It was exciting to see our teachers working together to win the competition. With Frank Sinatra playing in the background, teams worked to build the tallest structure. After 18 minutes, four teams successfully had a standing structure. One team was disqualified for a liberal interpretation of what “freestanding” meant. The winning team’s structure was 20 inches tall, beating the second place team by two inches. What did we learn from the process? We learned that sometimes it helps to work alongside each other to solve a problem. It also helps to prototype. I’m sure if our teams had another chance at the challenge they would do better. As we begin to implement new initiatives into our daily school routines we’ll only get better the more we perform the tasks. 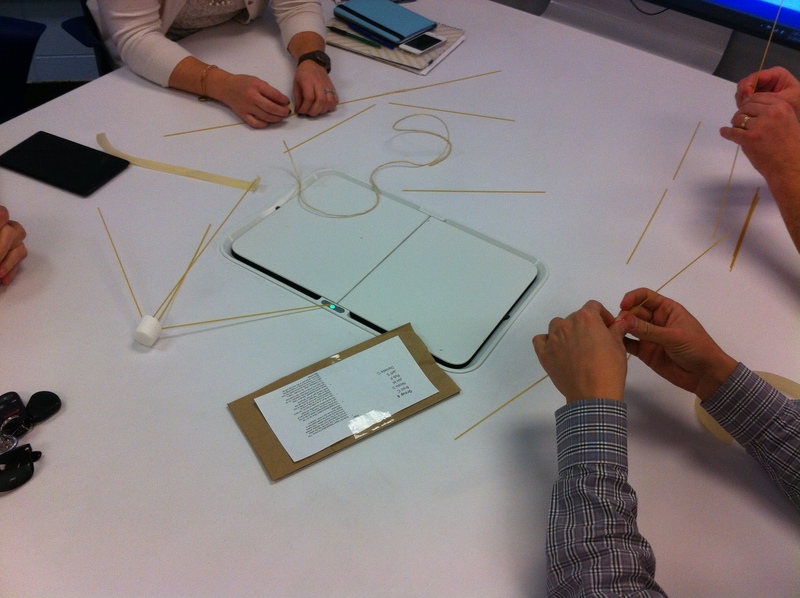 “The marshmallow challenge provides teams with a shared felt experience, a common language and a solid stance to find the right prototypes to build their real projects successfully, to avoid the oh-oh moments and have real ta-dah moments,” writes Wujec. Sometimes it helps to understand that projects can have a marshmallow–something that looks easy to do but in the end can be a real problem. The winning team! Congrats to Jeff, Rob, Jon, and Nicole.